I’ve seen just about every film about the Iraq War ever made. I’ve produced and associate produced a few. I even appeared in one (for about a millisecond). And without a doubt, “American Sniper” is the single best work of film about the Iraq War ever made. Now, it’s not the most complex film. Not the deepest film. Not even the most provocative. But in terms of storytelling, action, emotion, production and performance, attention to detail and especially the frighteningly accurate soundscape, there’s been nothing else close that’s been made since my platoon entered the war in Iraq in 2003. It’s a cinematic bull’s-eye. The film forcefully expresses the complexity of one incredible, dedicated man, and his incredible, dedicated family. The true, violent craziness of their experience is a constant — and the very heartbeat of the film. It’ll leave you in awe — and hopefully a bit outraged — by the enormity of what we’ve required our most elite service members and their families to sacrifice. But it also gives a probing look into what every one of us who served in Iraq experienced. Especially in the scenes when Chris talks to Taya by phone — he in a firefight, she outside a hospital — the film brutally exposes the unprecedented civil-military divide that exists in America after 9/11. “American Sniper” does not, however, much address the overall complexity of the larger political issues surrounding the war — or the complexity of the Iraqi side of the experience. And that’s OK. Kyle, much like many I served with, and our president himself during most of the Iraq War, held a very black-and-white view of the conflict. We were right, they were wrong. That’s how they saw things. Eastwood and Cooper have both commented extensively that they looked to classic Hollywood Westerns to inspire this film. And they succeeded. In “American Sniper,” like in Chris Kyle and George Bush’s Iraq War, American troops wore the white hats, and Iraqi fighters wore the black ones. That was their war. That was their truth. It was not the war I saw during my time as an infantry platoon leader in Baghdad, and not the war many others saw overflowing with spectrums of gray. But it was the war Chris Kyle and many others saw. This is a real and important perspective that must be explored and showcased in order to truly understand the broader American experience of the Iraq War. In the end, “American Sniper” is a great American war story. A new war film classic. Maybe the greatest modern war film of our time. But its power is in its focused simplicity. It’s hard and fast and goes down like a burning whiskey shot. Right down to the way the story (and the film) ends. And “American Sniper” is badly needed at this point in the post-9/11 national dialogue. Especially after a decade-long parade of awful films like “In the Valley of Elah,” “Green Zone,” “Stop-Loss” and “Home of the Brave” (featuring the acting prowess of 50 Cent). For many years, many in Hollywood said that America was not interested in Iraq War movies. They were wrong. Americans just weren’t interested in bad Iraq War movies. Or most other kinds of bad movies. Outstanding (but much smaller) films like the delicate “Taking Chance” and the masterful “Fort Bliss” hit the mark hard. But for very small audiences. “Lone Survivor” had been the highly successful, big-budget exception — and stands truly in its own class. The real story of courage, beautifully directed by Pete Berg (now an IAVA board member) will and should endure. It will also last forever in minds of a generation in defining the American post-9/11 combat experience in the same way “Full Metal Jacket,” “Platoon” and “Hamburger Hill” did for another. But it focused on Afghanistan, not Iraq. Which is a very different story — and despite what most Americans may think — a very different war. And, of course “Hurt Locker” won the Oscar, but it was panned by me and most of the veteran community for its carelessness and cowboyification — and the simplification of a more careless and unintentional kind. And, for the failure of its director and leadership team to use it as a tool to give back to the veterans community. While the iconic supermarket scene is one of the most brilliant yet in depicting the modern struggles of a warrior returning home, in the end, the story of “Hurt Locker” was more about Hollywood’s story (and director Kathryn Bigelow’s story) than it was about ours. In any discussion of post-9/11 war films, it’s essential to note this generation is different in one mammoth way. Thanks to evolution in camera technology and journalistic courage, the best post-9/11 films are still (and maybe always will be) the documentaries — most of which most have not been widely seen. “Control Room,” “Gunner Palace,” “When I Came Home,” “Warrior Champions” (in full disclosure, both of which I helped produce) and, most of all, Sebastian Junger’s bold masterpiece “Restrepo” will last forever. They bring civilians closer to the truth than any feature film can, and as close to the combat experiences of this generation as you can get without walking into a recruiter’s office. But “American Sniper” is no doc. It is a big-budget, well-crafted, soaring action film. The kind that can (and hopefully will) do well at the box office. And sometimes, simple is good. Simple is better when something is so overwhelming, so complicated, so distant. Since less than 1% of the American population has served in Iraq or Afghanistan, this film really is as close as most people will ever get. And let’s be honest, that’s how most people would prefer it. Most of America is tired of hearing about Iraq. But now, they’re at least open to being entertained by it. And as an activist and as a veteran, I’m OK with that. After a decade of working on veterans issues with an unprecedentedly disconnected civilian population, I’ll take it. Like Chris Kyle was, every one of America’s newest generation of 2.8 million veterans is still processing the war ourselves. And will be doing so forever. And we know that films like “American Sniper” may bring civilians closer to us than anything else. The film exposes the incomparable distance we’ve created (and irresponsibly allowed to grow) in this country between what is now essentially a warrior class and everyone else. It’s tearing open a shameful national boil of a discussion that’s been bubbling below our collective skin for far too long. And with that, it performs an exceptionally important public service in a way only film can. As a civilian viewer, this film will haunt you. It will leave you talking about it on the drive home. It will make you call your family members and tell them you love them. It will leave you sharing whispered conversations with your civilian friends about the violence, and asking probing (sometimes inappropriate) questions of the few veterans you may know personally. You’ll struggle to figure out how to talk to your kids about it. It’ll bother you. And worry you. For a long time. And force more questions than answers. Just like the war has for us. 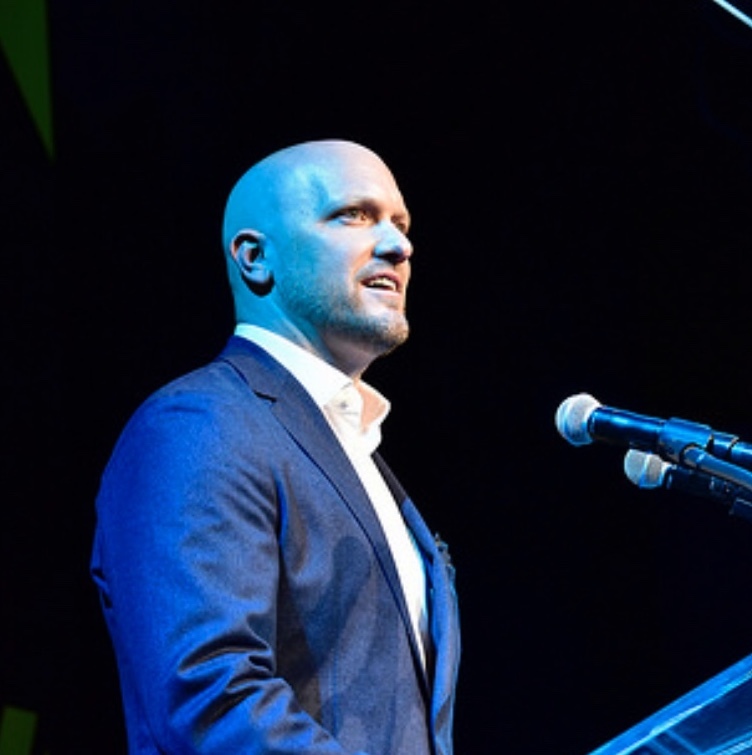 Paul Rieckhoff is CEO and founder of Iraq and Afghanistan Veterans of America (IAVA), an Iraq veteran, and the author of “Chasing Ghosts: Failures and Facades in Iraq: A Soldier’s Perspective.” He offers his thoughts on Clint Eastwood’s “American Sniper” in a guest column.